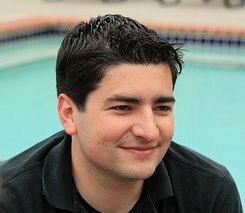 @amontalenti – CTO of Parse.ly. Pythonista. Founder. We might note that while employees in the community are left to the protection of the invisible hand, wealth is protected by the visible hand of government and corporations. But this is something, it is hoped, that will be overlooked. To help us begin to see it, we might, for a moment, imagine a different arrangement of institutional power. Picture a free market in which labor rights are enthroned in law, and property rights are left to the invisible hand. This would be a world in which we believe employees are the corporation. They are, after all, the ones running the place. Hence only employees could vote for the board of directors, and the purpose of the corporation would be to maximize income for employees. In theory, stockholders would receive income they negotiated through contracts. In practice the corporation would dictate those contracts with little real negotiation and stockholders could accept the terms or go elsewhere, only to find other corporations offering nearly identical and dismal terms. In this world, stock would be sold in a manner controlled entirely by the corporation, much as wages are set today. Stockholders would appear alone at the company where they would be taken into a room and made an offer. There would be no reliable way to compare current stock price to pass price, the return one person receives to what others receive, or to compare returns from one corporation to another. Wage and benefit data, on the other hand, would be published daily in “The Main Street Journal”, and the movement of the Dow Jones wage index would of course be tracked nightly on the news. But returns to shareholders would be considered proprietary information and would not be given out. If stockholders tried to improve their negotiating position by organizing into mutual funds, corporations would threaten to cut off payments altogether. The companies would talk about replacing stockholder money with funds from people overseas were willing to accept lower returns. A. The vast majority of people be willing to sacrifice their incomes (i.e. material well being) for the sake of perpetuating the system itself. Otherwise one these labor corporations would try harder to get more capital (i.e. bid it up, both in terms of return and/or more favorable contract terms) than another corporation if it had a better use for the capital (i.e. it could increase it’s income more with the additional capital) than the other corporation(s). Continuing this (each corporation trying harder to get capital based on how much additional income it could gain from it) would lead us back to where we are today… assuming more demand than supply of finite capital (I’ll address the ‘behind closed doors’ attempt at creating market illiquidity below). or B. There would have to be a (government) mechanism that created a vast imbalance in the supply of capital compared to its demand (where people would be desperate to invest their capital but there would be seemingly nowhere to put it… leading people to accept the harsh terms outlined in the excerpt) and a (government) mechanism would also have to prevent the market from adjusting (i.e. by a fall in the ‘price of capital’ – the return on it’s investment) to correct this imbalance (i.e. clear the market). And I have a pretty good idea for how to do this: what if tomorrow the government said “5% is a fair return on investment, therefore it is now illegal to pay anything less than a 5% return on capital investment” – investments that can’t afford to offer more than that get pushed out of the market, investments that can afford that continue, but there won’t be enough of these to soak up the capital that would have gone into the sub 5% investments (btw, I’m assuming various factors like risk lead to the existence of different classes of investments in the first place). The above 5% investments will in general be bid down by the excess capital chasing them, but at the end there will be huge amounts of capital with no where to put it (except either under the bed, or desperately fighting to accept the poor terms of the labor corporations). Capital can’t undercut each other once they reach 5%, but they can continue to compete with each other in terms of how unfavorable a contract they will accept. Does this “minimum return on capital law” and its effects sound familiar? It should, because it’s _exactly_ analogous to “minimum wage law” (and the effects are the same as any ‘protection’ law). Look up the labor situation in France sometime (horrific labor protection laws and equally horrific unemployment and even more horrific social hurdles to getting a job). The problem with labor is that labor is foolish enough to demand ‘labor protection’ (but maybe I underestimate the depth of their game, perhaps labor willingly deteriorates its own situation for the sake of then using that to demand something else… intervention begets intervention). The ‘overseas’ part breaks down somewhat too: there is more excess labor in 3rd world countries than in 1st, hence the 1st world countries using 3rd world labor as a threat. However there is more capital in 1st world countries than 3rd world (this is why they are 1st world countries to begin with), what would happen is that in the _3rd world_ countries they would be threatening local investors with the prospect of using foreign (1st world) investment instead. As for the attempt at breaking the system by creating horrific market illiquidity (‘everything behind closed doors’, ‘no public stockmarket’, etc.. I’m addressing the case of neither A nor B, and that the illiquidity alone might be able to perpetuate the system): if you dropped me into this ‘capital unfriendly’ world tomorrow, the first thing I would do would be to start a business (just me) that would do nothing other than take people’s money and then go from corporation to corporation until I liked what one offered (compared to the others) and I would then reinvest my clients’ funds, paying the client a better return than they thought they could find with me, while taking a (hefty) cut of the returns for my services (note that this isn’t collective bargaining, the corporations would just think I’m a regular random investor, no need to artificially demand or threaten anything). This would be the most lucrative business in the world, and the only thing that would keep me from becoming filthy rich would be the hordes of other people that got into it too competing with me. The ‘stockmarket’ would still exist, it would just take a different (reverse) form. And if it was made illegal (no doubt the government would call me a capitalist parasite), this would become the largest black market in the world (dwarfing drugs… this would be the mafia’s new business). The fallacy is the belief that the market exists because of and is subordinate to government. e.g. Government makes drugs illegal = drug dealers factor in the additional risk and pass the cost on to the consumer. Government can mess with the market, but the market was there before government, exists in spite of government, and will be there after government is gone. And I’m ignoring the fact that if that world was possible it would both lead to and require a nearly flat capital structure (i.e. the depth of ‘things used to make other things used to make still other things… etc…’ – industrial society) and a completely group thinking populous (but maybe that’s what they really want…). btw, check out mises.org for some _good_ economics.